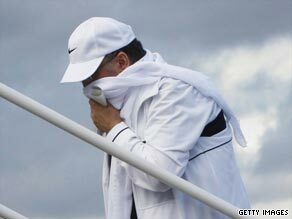 Abdelbeset Ali Mohmed al Megrahi, convicted of murdering 270 people by blowing up Pan Am flight 103 over Lockerbie, Scotland, two decades ago was returned to his native Libya on Thursday. He suffers from terminal prostate cancer and was freed from prison in Scotland, with Scottish Justice Secretary Kenny MacAskill citing compassionate grounds for the release and saying al Megrahi was “going home to die.” “Our justice system demands that judgment be imposed but compassion available,” MacAskill said. He spoke to CNN’s Wolf Blitzer about the case. Here is a transcript of that interview. Blitzer: And joining us now from Scotland, Scottish Justice Secretary Kenny MacAskill. Mr. MacAskill, did Al Megrahi kill 270 people MacAskill: Yes. He was convicted by a Scottish court. And that’s… (Cross talk) Blitzer: Did he do so in cold… (Cross talk) Blitzer: Did he do so in cold blood MacAskill: Absolutely. Blitzer: Is it normal procedure that someone, a convicted mass murderer who gets cancer, is free to go home to his wife and family MacAskill: Well, thankfully, in Scotland, we don’t have many convicted mass murderers. And this tragedy devastated our country as it did the lives of people in the United States and elsewhere… (Cross talk) Blitzer: Is there any precedent — is there any precedent, Minister… (Cross talk) MacAskill: … we have justice as well as compassion. Blitzer: Is there any — and is there any precedent… MacAskill: Sorry Blitzer: Is there any precedent in Scotland where a mass murderer, someone who killed 270 people in cold blood, has been freed to go home to his wife and family because he is suffering from cancer MacAskill: This crime is unprecedented in our small country. It’s actually the worst atrocity — terrorist atrocity ever perpetrated anywhere within the United Kingdom. So it’s a circumstance that has never happened before. And I hope that it’s a circumstance that will never reoccur. Blitzer: Are there precedents where murderers, just regular murderers, someone who killed someone in cold blood and served only a very small portion of his or her sentence, has been free to go home and spend the rest of his life with his wife and kids because he or she is suffering from cancer MacAskill: Well, each and every compassionate release that has been granted, and there have been 30 granted since the year 2000, is done under individual circumstances. And as we were seeing, in Scotland, justice is equally tempered with mercy. Those who commit an offense must be punished and have to pay a price. Equally, we have values that we seek to live by, even if those who perpetrate crimes against us have not respected us or shown any compassion. Here is a dying man. He didn’t show compassion to the victims, American or Scottish. That does not mean that we should lower ourselves, debase ourselves, or abandon our values. He was justly convicted, but we’re allowing him some mercy to return home to die. Blitzer: Do you have one example, one precedent of a convicted murderer in Scotland who served only a small portion of his sentence who was allowed to go home because he was suffering from cancer MacAskill: These matters are dealt with on each and every application of the individual. As I’ve said, since the year 2000 there have [been] 30 such applications. I’ve had some — two applications, I’ve not had to deal with the question of a mass murderer because, as I’ve said, these matters are few in Scotland. And certainly this atrocity was a barbarity that we have never experienced before in our small country. And it’s a barbarity we hope will never be replicated here, nor would we wish it anywhere else. But equally, the Scottish justice system is predicated upon justice being enforced, but mercy and compassion being capable of being shown. Blitzer: So just to be precise, because I want to move on, Mr. MacAskill, you don’t know of one murderer in Scotland who has ever been released for compassionate reasons after serving only a small portion of his sentence MacAskill: Well, I don’t know the nature of the applications for compassionate release ever dealt with by my predecessors responsible for justice in Scotland. I can confirm two that clearly those who I have granted compassionate release so far were not murderers, but that’s because in Scotland, we do not have terrorist atrocities as a norm. This incident back in 1998 (sic) remains the worst ever terrorist atrocity anywhere within the United Kingdom. We have faced potential barbarities of the sort, Glasgow Airport just a few years ago, when I was just a few months into the job. But as I say, these matters are unique, that’s how we hope it stays, not only in our land, but in any other land. Blitzer: All right. Here’s what Susan Cohen, whose daughter was aboard the Pan Am flight, what she told us today. Listen to this. (Begin video clip) Susan Cohen, mother of Lockerbie bombing victim: It is absolutely sickening when you say compassion. I feel ill. I feel physically ill. That is the most misplaced compassion I can imagine. I mean, we could weep, couldn’t we, for poor old Adolf Hitler there, gee, and maybe Mussolini, and we should feel sorry for these people, I guess. (End video clip) Blitzer: All right. Mr. MacAskill, what do you say to someone like Mrs. Cohen, who lost her daughter and thinks about her every single day MacAskill: Well, I’ve said all along, and I said in my statement, I’m very, very sorry for the grief. It started in the 24th of December, 1998 (sic) when a heinous atrocity was perpetrated above one small town in Scotland, taking the lives, not just of Americans, but 11 people from our small land. Nothing can assuage their grief. There is nothing that I could say to Mrs. Cohen or to anyone else that will ease the pain that they have on a day and daily basis. But in Scotland, our justice system is not predicated on vengeance, but on bringing people to account. And equally, our value system is predicated on seeking to treat people in a matter that is merciful and compassionate, even if they do not show to us as we would wish to show to them. Blitzer: Do you… MacAskill: So I’m so heartfelt sorry for Mrs. Cohen and every other victim for the Scottish, UK, American or wherever else. But equally, we are adhering to the values that we have and are following the due process of law that we possess. Blitzer: Do you realize that you’ve made their grief so much more powerful right now because they see the picture of this guy walking on a plane and flying back home to Libya where he is about to be received with a hero’s welcome MacAskill: I’ve released a sick man. The medical evidence given to me in a report dated 10th August by the Scottish Prison Service says that he’s terminally ill. That is a sentence that I cannot impose in Scotland, no court could. We do not have the death penalty. It’s final, terminal and irrevocable. That sentence that he now faces cannot be revoked by any court or overruled by any jurisdiction. I have decided to allow him to go home to die. I am showing his family some compassion. I accept there was a compassion not shown to families in the United States, or in Scotland. But we have values, we will not debase them, and we will seek to live up to those values of humanity that we pride ourselves on. He was brought to justice after tremendous — what, not simply by Scottish police and prosecution authorities, but by the United States. Equally, as I say, in Scotland, justice is tempered with compassion. And that, as I say, is why he has been allowed to go home to die. Blitzer: I read the medical report that you received, you put it online. And it says now that in the last few weeks, he’s been complaining of backaches, his sleep pattern is disturbed, he appears tired and drawn. The specialists appear to have conflicting assessments on whether he has three months to live or many months to live. It just seems to a lot of people, especially in the United States right now, that you’re letting a guy go back who could potentially live for a long time. MacAskill: The report I have, dated 10th August, I think the one you referred to is quite clear. It says now that the prognosis is three months or less… Blitzer: It says that from what… MacAskill: …die sooner… (Cross talk) Blitzer: Let me interrupt for a moment, minister. It says that from one specialist, but the others say that, and I’ll read it to you, “reviewing the total picture, the concluding specialist’s view is that in the absence of a good response to treatment, survival could be in the order of months and no longer than many months. Whether or not prognosis is more or less than three months no specialist would be willing to say.” MacAskill: Well, the evidence I have from the director of Health and Social Care for Scottish Prison Services, and it’s his advice along with that of the prison governor, and indeed of other relevant bodies of Scotland, it’s the prognosis that he’s since deteriorated. It says now that he has less than three months to live. I’m obliged to accept that. I’m not medically qualified, I do not challenge it. And what I accept is that he is a dying man. I can’t change that. That verdict has been brought upon to him by a higher power. But I am prepared to stand up for the values we hold as a people of Scotland not to lower them, not to debase them, not to live in a manner which others seek to do. We’ve brought him to judgment, but we allow him to go home to die. Blitzer: How much pressure, Mr. MacAskill, were you under by higher-ups to let him go MacAskill: None. This is my decision based upon my responsibilities as the Cabinet Secretary for Justice in Scotland. As you’re aware, I have refused the prisoner transfer application. I recognize and accept that the American families and indeed the American government were led to believe or were given clear understandings at the time of pretrial negotiations that he would serve his sentence in Scotland. I accordingly rejected an application by the Libyan government for him to be transferred back to an institution in Libya. However, he also made an application for compassionate release. I’m not — I was prepared to decide. I looked at the evidence and as I said I was persuaded that he is a dying man. And it was my decision and my decision alone based upon following the rules and regulations and laws that we have in Scotland. And I believe standing by the values of humanity that we possess as a people that I believe he’s been brought to account for the heinous atrocity, and yet, we are prepared to show some leniency and mercy to his family, even though he did not show that to ours or indeed, to any family American, Spanish, or… Blitzer: Was there — so — I’ll just ask this question because a lot of people are asking. If your son or daughter or brother or sister were on that plane, would you feel the same way MacAskill: In Scotland, we deal with these matters through the court system. We do not possess a system of vengeance or vigilantism. If my son or daughter were taken in a manner like that, I would expect to be replicated what happened. The Scottish police to investigate, the Scottish prosecution system to bring him to account and the Scottish court system to act. That is what was done. As I say, judgment was done. He has been punished. But he now faces a sentence we don’t possess in Scotland. We do not have the death sentence. Had he not been… Blitzer: All right. MacAskill: … terminally ill, he would have remained in a Scottish prison. He now faces a sentence that I can’t vary, but we’re prepared to show clemency in the final days to his family, despite the fact that he didn’t show that to ours. Blitzer: Mr. MacAskill, you realize that for the rest of your life, this was your decision. You’re going to have to live with this decision for the rest of your life. This was a major decision, probably one of the most important, if not the most important political decision you have ever made. Are you comfortable knowing that from now on, the name Kenny MacAskill, Scottish justice secretary, will be linked to the release of this mass murderer MacAskill: I’m proud to serve as the cabinet secretary for justice in the government of Scotland. This is a decision I did not seek to make. It’s a decision I would not have wanted to make. But it was a decision that had to be made. An application was made by him, and an application for prisoner transfer was put in by the Libyan government. The buck, as you would say in America, stops with me. I have made that decision following due process, following the laws and guidance that we have in Scotland. And I believe that living up to the values and the humanity that we possess in Scotland. Many will disagree. Many do agree. I know that it divides opinion in the world as it divides opinion in the family. But my responsibility was to make that decision, and I did so on the basis that in Scotland, we want justice done, but we want compassion possessed and capable of being shown. Two wrongs never make a right. Blitzer: Kenny MacAskill is the Scottish justice secretary. Thanks very much for joining us. MacAskill: Thank you.